“I love films but specially anything to do with science fiction, robotics, and all films with special effects so I was really excited about going to see 3D showings when they first started coming out a couple of years ago in mainstream cinema,” says Jake. It was only when he went to see the block buster Avatar that Jake noticed that going to the film showings was giving him a really bad headache. “I went to Avatar four times in one weekend, which was a bit excessive. I invested in a monthly pass to the local cinema complex, so the more films I see, the better value it is and I can go and see anything I want, when I want and as many times as I want. In this case, it turned out not to be such a good idea,” he says. Going to see a 3D film works only if you have good stereoscopic vision – which means you have to see well, and equally well in both eyes. People with a very lazy eye, where one eye is very poor, can’t see the images in 3D as both eyes need to take in the slightly separated images. “As it turns out, there are people like me who thought they had great eyesight but watching 3D films causes a real problem. When I went to see an optician about the problem, he told me that I had a very slight imbalance in the ciliary muscles between my left and right eye. This made everyday seeing and focusing fine, but when my eyes tried to make the corrections necessary to take in the 3D moving images, I just got muscle strain, hence the headaches,” explains Jake. Is this Why 3D Films Have Never Made it Big? 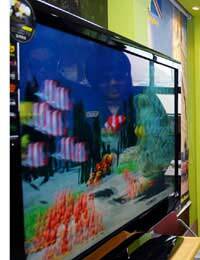 3D film technology has been around for years but it has never become a big hit. Avatar and other films recently released have started the trend again, but in previous decades when the idea has been tried too many people going to see the films suffered headaches and, worse, felt really sick during the film. “That happens to me sometimes too; the headaches I get make me feel quite nauseated. I have never actually thrown up, but it wouldn’t be a good thing to do in the cinema would it?” laughs Jake. It is true that originally, the 3D image effect was created by having two different projectors, one that produced an image intended for each eye. Often, cinemas didn’t line up the projectors properly, creating headaches and sickness even in people with perfect vision. Today, 3D films are sent out by the same projector but you have to wear special 3D glasses to be able to see a slightly different image with each eye. The success of Avatar has stimulated large companies like Sony to try to develop large screen 3D TVs that can prevent some of these problems and they certainly hope that 3D TV will become very interesting to home consumers who have seen 3D films and like them. Others are less convinced, including Jake. “I don’t it would be worth it to invest in a 3D TV and then find that you didn’t like it – I can’t imagine getting one for my home. I have now got some special cinema glasses of my own – the optician has given me a pair with lenses to correct my problem so that I can see 3D films without a problem. Let’s hope Avatar II comes out soon,” he says enthusiastically.